2. Make a Hair Mask for your hair to prevent hair loss. Take some curry leaves and make a paste of them. Mix this paste with yogurt and massage it on your hair. Keep this mixture on your scalp for about 25 minutes and then wash off with a soft shampoo. Apply this mask every week consistently to see instant results in terms of hair growth. Not only that this will help your hair to look shiny, smooth and bouncy. 3. 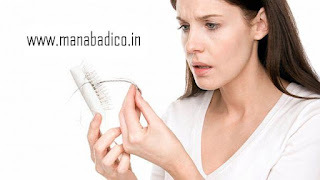 Make a Hair tonic to prevent hair loss: Take few curry leaves and some coconut oil in a bowl. When it mixed with curry leaves, it increases hair growth. Boil these two together until you see black deposit forming. After the deposit is formed, apply it all over your scalp after it becomes cool . Keep this mixture for one hour and then wash off with a soft shampoo. Apply this tonic twice a week and ll see the result in just fifteen days. This oil will not only stimulates hair growth but also prevents the white of hair. This is the best way for healthy hair and for hair growth.